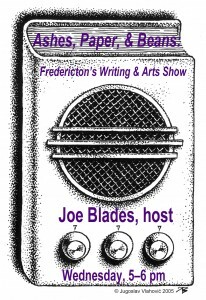 Home » Current Shows » Spoken Word Shows » Archive for category "Ashes, Paper & Beans"
Joe Blades is producer–host of the award-winning weekly Ashes, Paper & Beans (started in 1995), broadcast on 5pm-6pm, every Wednesday here on CHSR 97.9 FM, Fredericton’s campus–community radio station. The show features interviews, readings, lectures, reviews, and arts news, including studio-produced recordings of poetry, spoken word, slam & dub poetry, drama, fiction, and audio art. 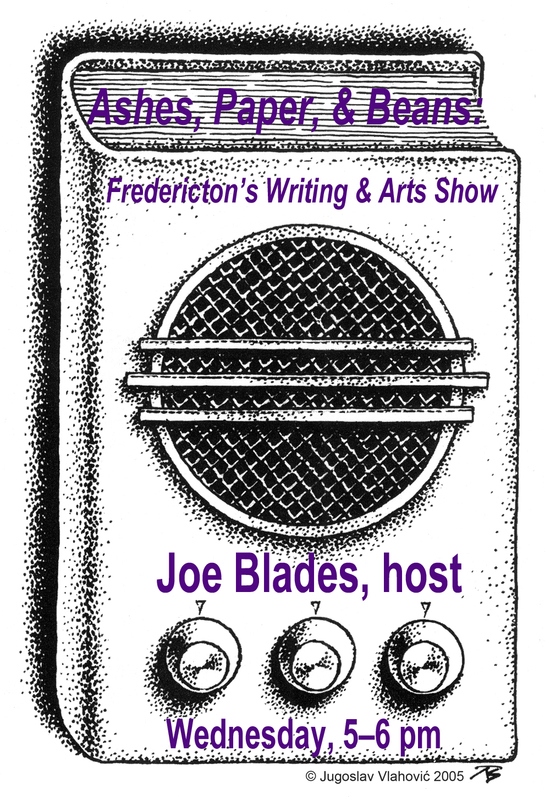 Ashes, Paper, & Beans: Fredericton’s Writing & Arts Show. Host: Joe Blades. CHSR 97.9 FM Fredericton, NB. Wednesday, 5-6 pm. Lone Cloud: “Is that so Much?” poem by Theresa Marshall John Houston, keynote speaker, 2012 New Brunswick Film, Television & Media Industry Summit. Recorded 9 Nov 2012 @ Charlotte Street Arts Centre Auditorium, Fredericton, NB.